Red Bull chief Christian Horner says his Formula 1 team has suffered its worst season with engine reliability since 2006. A string of Renault failures blighted its 2017 campaign, with Max Verstappen and Daniel Ricciardo unable to mount a title challenge. There were a total of 740 grid penalties issues for power unit element changes this season, with Honda picking up 380 places. Renault had 320, while Ferrari and Mercedes had just 20 each. 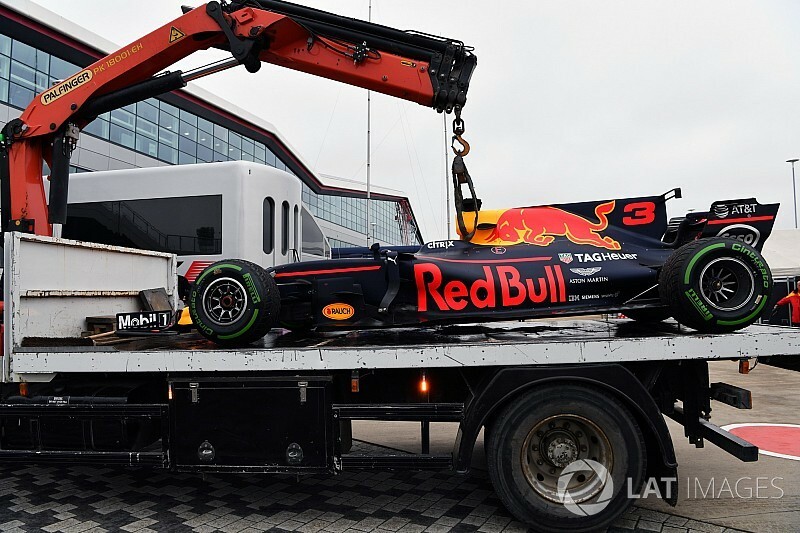 "Reliability-wise, engine reliability, it's probably been the worst year we've had since 2006," Horner told Motorsport.com. "Our engine partner is working hard to address that over the winter. They need it for their own team as well. "Hopefully we can then put a campaign together to really challenge Ferrari and Mercedes, who will not be standing still either during the course of next year." Renault's performance improved as the season went on, with Verstappen clinching wins in Malaysia and Mexico, but it was in qualifying that it really struggled. "We're seeing a bit of convergence on race day but still in qualifying, with these modes and potential use of oil and so on, there is still quite a differential certainly," said Horner. "The stopwatch doesn't lie. We're now going into year five of hybrid [engines] so one would hope by season five you do start to have convergence and they do start to understand some of the issues they have been struggling with." Despite the tough start to the year, with Red Bull also struggling on the chassis side to begin with, Horner is pleased with the way the team recovered to mix it with Mercedes and Ferrari on occasion in the closing stages. "It's been a season of two halves for us," he said. "At the beginning of the season, we undershot the target. "Some issues with our tools over the winter created on-track issues, which it wasn't until we started running [that] we were able to see things weren't aligned with our simulation tools. "Once we had understood that, we had a very clear development path. "The whole team at Milton Keynes has worked incredibly well to put the amount of performance on the car that we have seen during the course of the season to get us from being a second off at race one to winning races on merit and arguably, in the last third of the season, having the strongest chassis. "On our analysis, if you look at the last four or five races, on race day, we've had arguably the best chassis. That's satisfying to see that progress."